this week's post marks the fourth in a series of cassettes gifted to us by educator cliff sloane. a former professor of ethnomusicology and founder of asianclassicalmp3.org, a major influence behind this blog. our fourth tape from cliff features the talents of lanna artist withep kanthima. born in 1954, withep trained from a young age with his father in the local music of northeast thailand, studying a range of folk instruments and performance styles. 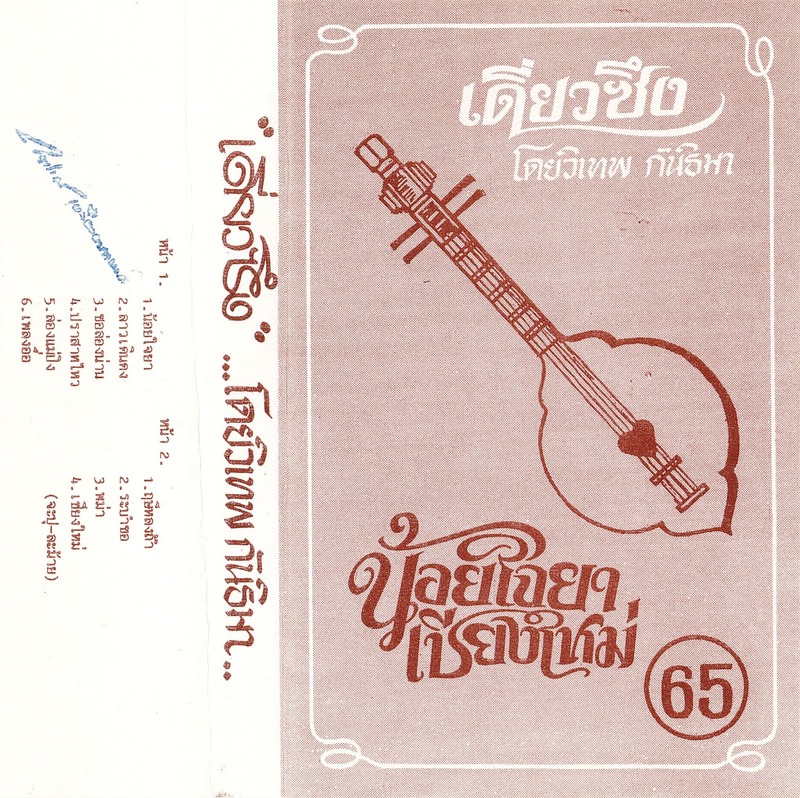 aside from this paternal instruction, withep was also a student of chao sunthon na chiang mai, our previously featured performer from cliff's collection. like his teacher, withep made his name hand-crafting local instruments and instructing young musicians at the chiang mai college of dramatic arts, marking that institution's first hire of a folk musician, according to cliff. 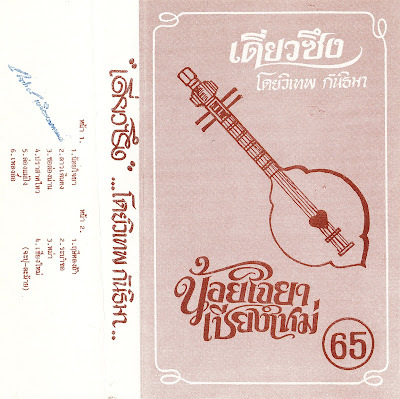 he passed away in 2006 at the age of 54. this cassette features a performance on the sueng, a plucked fretted lute, running through solo improvisations on a selection of favorite regional tunes. enjoy!